Author: Krudop, Walter Lyon Set In . . .
An original tale in which a poor stranger instructs a king. A stranger comes to a village carrying only a fishing pole. Each time he dips his line into water, he pulls out a fish. He gives away every fish, saying, "One person, one fish." The king of the land learns of this man and thinks that the stranger will surely catch him a basketful of fish. After all, he is the king. Doesn't a king deserve more than one fish a day? But the stranger has a different idea. 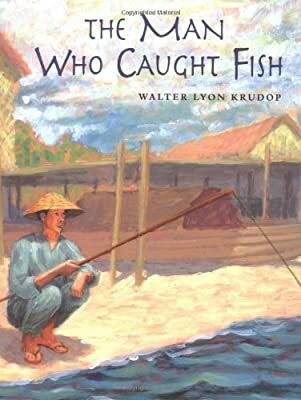 Walter Lyon Krudop's clever story is enhanced by exquisite paintings that bring to life a long-ago Thailand and a timeless theme, the consequences of pride.